The Rotaliana Plain, north of Trento, on gravel embankments of the River Noce. Vinified as for red wine, with maceration on the skins for 8-10 days in stainless steel tanks. It is then matured partly in barriques and partly in oak barrels for a maximum of 6 months so as to preserve the fruitiness typical of the variety. Trentino-style Tonco de Pontesel (stew made with various types of meat), venison with polenta, veal stew, mixed grilled meats. "Wine & Spirits Magazine" has rated the wine "Cavit Bottega Vinai Teroldego Rotalino Trentino, Trentino-Alto Adige, Italy" the vintage 2013 on 01.10.2016 with 90 of 100 points. "Wine Enthusiast" has rated the wine "Cavit Bottega Vinai Teroldego Rotalino Trentino, Trentino-Alto Adige, Italy" the vintage 2012 on 06.01.2015 with 88 of 100 points. "Wine Spectator" has rated the wine "Cavit Bottega Vinai Teroldego Rotalino Trentino, Trentino-Alto Adige, Italy" the vintage 2010 on 30.09.2012 with 88 of 100 points. "Wine Enthusiast" has rated the wine "Cavit Bottega Vinai Teroldego Rotalino Trentino, Trentino-Alto Adige, Italy" the vintage 2010 on 07.01.2012 with 88 of 100 points. "Wine Enthusiast" has rated the wine "Cavit Bottega Vinai Teroldego Rotalino Trentino, Trentino-Alto Adige, Italy" the vintage 2004 on 12.01.2007 with 88 of 100 points. "Wine & Spirits Magazine" has rated the wine "Cavit Bottega Vinai Teroldego Rotalino Trentino, Trentino-Alto Adige, Italy" the vintage 2002 on 01.06.2005 with 86 of 100 points. 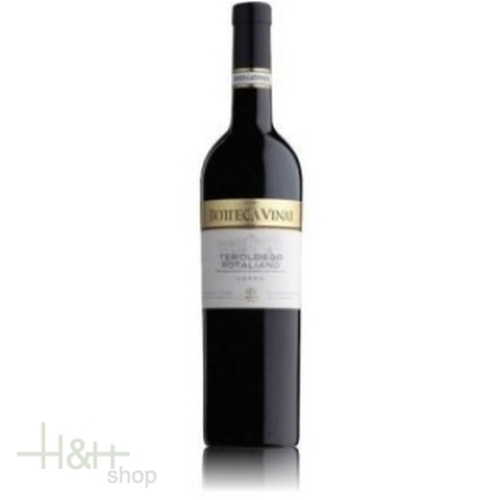 "Wine Enthusiast" has rated the wine "Cavit Bottega Vinai Teroldego Rotalino Trentino, Trentino-Alto Adige, Italy" the vintage 2003 on 09.01.2005 with 88 of 100 points. "CellarTracker" has rated the wine "Cavit Bottega Vinai Teroldego Rotalino Trentino, Trentino-Alto Adige, Italy" the vintage 2002 with 87 of 100 points. "Wine Enthusiast" has rated the wine "Cavit Bottega Vinai Teroldego Rotalino Trentino, Trentino-Alto Adige, Italy" the vintage 2002 with 86 of 100 points.